Aid trickled into Ghazni Sunday, residents and relief workers said, days after security forces pushed Taliban militants from the eastern Afghan city following nearly a week of heavy fighting. Residents suffered food and water shortages along with rising prices for basic provisions after insurgents overran the city, torching buildings and destroying infrastructure in a battle that killed hundreds of people. "We need this aid to survive," said Gul Badshah, one of many in Ghazni who made their way to distribution centres Sunday, who said his home had been destroyed by two rockets during the onslaught. Siraj Ahmad, another resident, said he was collecting aid for a neighbour whose husband -- a police officer -- and young son were killed by the Taliban during the fighting. "They had no one else left in their family so I decided to come here for them and get any donations to take for them," he said. Rice, oil, beans and tea were handed out after the first humanitarian convoy arrived in the Ghazni on Saturday, said Afghan Red Crescent regional head Mohammad Esmail. He added that the Red Crescent hoped to reach 800 families Sunday, followed by another 1,200 on Monday. "The people who receive this aid are those who have either lost their loved ones or houses during the fighting in Ghazni," Esmail said. The UN estimates that at least 200 civilians died in Ghazni before Afghan forces backed by US airstrikes finally pushed Taliban fighters from the provincial capital on Wednesday. But analysts said the Taliban scored a military and psychological victory against the government, proving they have the strength to strike a strategically vital city near Kabul at will and remain entrenched there for days. The delivery of aid to Ghazni comes after Afghan President Ashraf Ghani briefly visited the the the city to review the security situation on Friday. During the stopover, Ghani demanded Pakistan's newly elected Prime Minister Imran Khan investigate reports that fighters from his country had joined the battle, which Kabul said had left at least 100 Afghan soldiers dead. The fight for Ghazni was part of an extraordinarily violent week in Afghanistan that saw Taliban militants press the fight against security forces across the country and Islamic State insurgents attack Kabul, including a suicide blast at a school that killed at least 37. 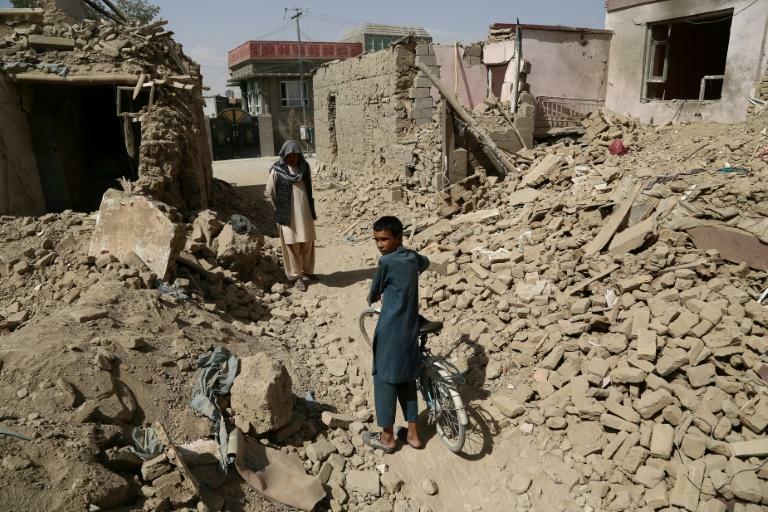 The surge in violence comes weeks after Afghans marked an unprecedented nationwide ceasefire between the Taliban and government forces in June, giving some relief to war-weary civilians. Anticipation had been mounting that a second ceasefire would be announced for the upcoming Eid al-Adha holiday this week. But President Ghani has since indicated there will be no truce offered to the Taliban.